Does African unity ideology make economic sense? Last week Kenya hosted the Eastern Africa Region Pan African Congress and later this week will host the NEPAD APRM Summit which is rooted in the notion continental unity and cooperation. This is therefore a good time to take stock on how economically viable Pan Africanism, loosely defined as the ideology of African unity, is for the country and continent. It should be noted that current conversations on Pan Africanism are very different than they were even 20 years ago which occurred in a context of poor economic performance and chronic dependence on international aid. Today, African governments seek to make the shift from aid to trade and from dependence to self-reliance. 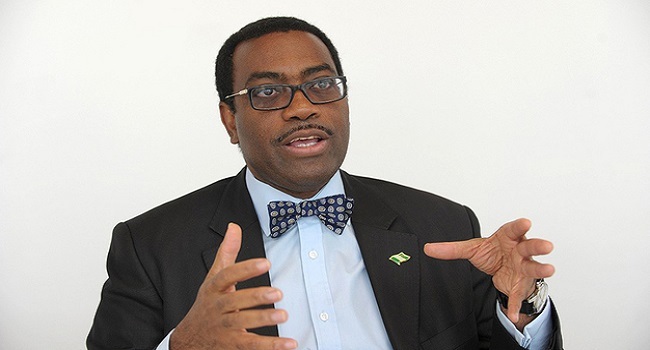 Indeed, the incoming president of the African Development Bank, Adesina (PhD) in his inaugural speech last week stated that, ‘We must integrate Africa– grow together, develop together. Our collective destiny is tied to breaking down the barriers separating us’. The positive elements of economic Pan Africanism are clear. Through economic integration Africa can do three important things: coordinate the economic development of the continent efficiently, negotiate more effectively on global trade and economic platforms, and leverage economies of scale. When Africa is considered as a unit, comparative advantage and efficiency can preponderate in investment decisions and economic development. an economically united Africa has stronger global bargaining power and as a continent, Africa is a more attractive investment destination with a market of over one billion open for business to both foreign and domestic entities. Further, economic Pan Africanism can encourage regional convergence in key indicators such as the rate of inflation, budget deficit and public debt, as well as external current account balance. However, is economic Pan Africanism truly viable? It is true Africa has taken important steps towards economic integration and most sub-Saharan African countries are members of one or more regional arrangements. These include, the Economic Community of West African States (ECOWAS), the Economic Community of Central African States (ECCAS), the East African Community (EAC), the Southern African Development Community (SADC), and the Common Market for East and Southern Africa (COMESA). The aim is to eventually create a Continental Free Trade Area (CFTA) by 2017. Yet, even when one puts aside the difficulties faced in ensuring that such regional blocs actually function (such as the intricacies of the rules of origin), there are two core problems that impede further integration. Firstly, competition exists within regional blocs. This is partly informed by the heterogeneity of economies where weaker economies exist alongside stronger neighbours. For example, Kenya is the strongest player in the EAC and thus dominates the union. This can give rise to a feeling that Kenya does not really ‘need’ other countries in the EAC to build its economy. Indeed there can exist the notion that Kenya is opening up to neighbouring markets with lower purchasing power and thus while other EAC members benefit from Kenya’s markets with ‘deep’ pockets, Kenyan companies do not equally benefit as neighbouring countries have ‘shallower’ pockets. Further, in the EAC Kenya wants to hold its position as the dominant player in the region. Isn’t the current sugar and milk row between Kenya and Uganda an indication of the limits of the ‘spirit of Pan Africanism’ even within regional blocs? The second factor that prevents regional integration is that competition exists between different regional blocs. This issue is exacerbated by the reality of overlapping and multiple regional bloc memberships. In terms of the reluctance with regards to integrating regional blocs it is no secret that South Africa and Nigeria dominate Africa economically. Therefore, it can be difficult for countries in the EAC for example, to feel compelled to open their smaller economies to SADC or ECOWAS which house these dominant economies. A unification of regional blocs may mean that trade imbalances between regions are exacerbated leading to wider economic gaps with larger economies and economic blocs dictating the pace of economic growth. Indeed, there are general issues that hinder continental economic integration continentally such as national government concerns of public revenue loss due to tariff reduction, a lack of assurance that market integration will align with national economic interests and the concern of an unequal distribution of continental integration benefits. Further, there is difficulty in reconciling a trade-off between short-term losses and the long-term benefits from trade integration, which is particularly important in the context of the short-term five-year election cycles in which African governments operate. Thus it seems clear, that while the spirit of Pan Africanism is strong, there are real obstacles that impede the economic integration of the continent. The (good) news is that there does seem to exist a commitment to regionalisation and continental economic integration. It will be interesting to see how some of the challenges elucidated above will be addressed in this dance towards economic unity. This entry was posted in Africa, Emerging Markets, frontier markets and tagged Africa free trade, Africa unity, EAC, Pan Africanism.